It’s no secret that Square Enix has been putting a lot of their efforts towards mobile gaming in recent years. They’ve also not been shy about remaking and porting old games, in lieu of developing new ones. 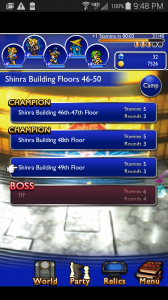 Now, though, they managed to combine their forays into both arenas with the creation of Final Fantasy Record Keeper, a free-to-play game that allows you to relive the major moments from their previous titles. The idea of another free-to-play-but-pay-to-advance game made me worry after the travesty that was All the Bravest, which was roundly and deservedly panned for its poor gameplay and balancing. For this endeavor, Square Enix recruited help from DeNA, purveyor of a number of free-mium games (like Rage of Bahamut), and it seems to have helped tremendously. In Record Keeper, you take on the role of a scholar at the great library of an unnamed kingdom. Along with your guide, the adorable Dr. Mog, you are tasked with keeping record of the events from all of the main series Final Fantasy titles. In this world, records are kept in living paintings, and the canvases are becoming corrupted. And with them changing, history is at risk of being lost forever. In order to save them, you and your party enter the painting and fight through a series of battles, which is really the only gameplay that Record Keeper offers. When entering, you are greeted with music from that game, typically related to the scene you are replaying. Then, you’re given a snippet of story to set the scene before the battles, which culminate with a final battle against the boss from that section of the original game. Each set of battles is selected from a menu, and battles only take a few minutes, which is perfect for the mobile platform, allowing it to be played in bite-sized chunks. 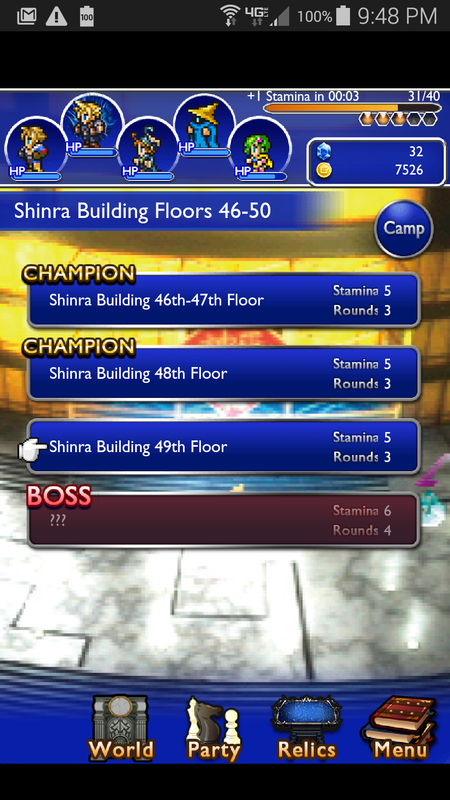 When you defeat the boss, you are given a rating for your performance in battle, based on how many actions it took, how many times a character died, how much damage you received, and special factors based on the boss. Completion guarantees you certain rewards, such as gil, weapons or new party members, and receiving a high score in the battles gives you more rewards on top of that. Battles are unlocked in order, with completion of one leading to either new battles that advance the story of that game or unlocking other games. Each scenario has a difficulty rating, and harder battles offer better rewards. There are also daily dungeons that do not advance the story, but offer items used to upgrade equipment and abilities. Party members include less specific characters like “Black Mage,” as well has heroes from a number of games, like Tidus, Cloud, Rydia and more. They are all represented during the game by sprites hearkening back to the 16-bit era; however, pictures of each character from their own game are available on the status screen. The weapons are also specific to each game, and marked to denote this. 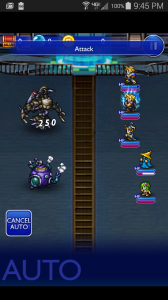 Players and equipment from a specific game will receive bonuses when you fight battles from that game (e.g., Rydia gets an HP and stat boost when fighting Final Fantasy IV enemies). 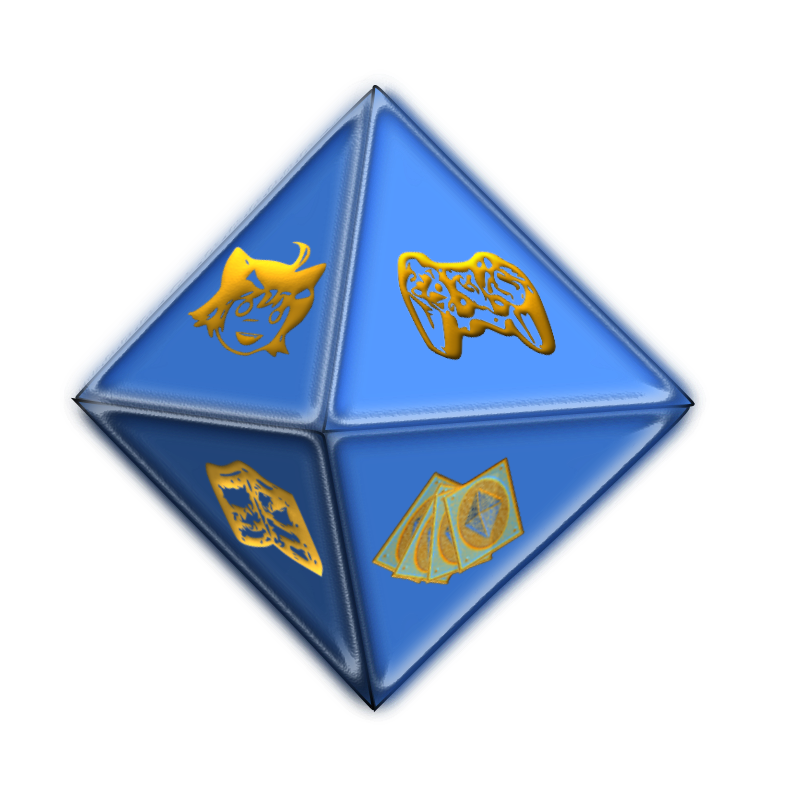 Abilities are swappable, as well, and are created by combining different elemental orbs found during battle. The game, as with most free-to-play titles, uses an energy mechanic to limit how much and how often one can play. It takes stamina to engage in battle, and while this energy will replenish over time, you can also collect stamina shards that will restore your stamina and increase your maximum when you get enough of them. You can also buy gems using real money to refill stamina; these gems can also be used to purchase random equipment for your characters. Fortunately, the game is set up in a way that you can play for a reasonably long time without having to purchase any gems, and only those who want to speed through the games really need to drop any money. 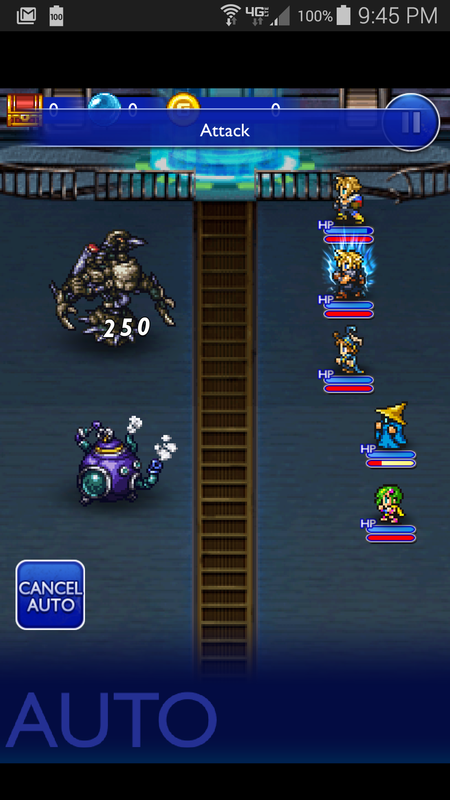 Overall, Final Fantasy Record Keeper is a fun walk down memory lane. The premium options don’t feel remotely necessary, but are there for those who want to push through the game quickly. Square Enix seems to have learned their lessons from their previous venture and applied them to this one.